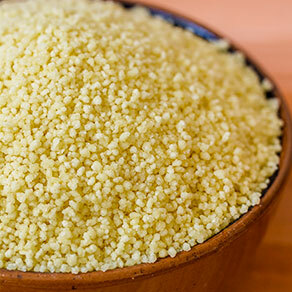 This recipe combines elements from traditional Sicilian and Ligurian cuisine: couscous is a commonly used ingredient in many centuries-old Sicilian dishes, whereas further up north, in Liguria, every family will be able to cite their own family recipe for pesto. Pesto actually has its origins in 800’s Rome where it was a sauce called moretum and prepared simply by crushing garlic, salt, cheese, herbs, olive oil and vinegar. The pesto commonly known around the world now, made with garlic, basil, pine nuts, olive oil, parmesan and pecorino cheese, is a sauce from the city of Genoa in Liguria. This ‘pesto alla genovese’ is known to have been first mentioned in the recipe book La Vera Cuciniera Genovese (The Real Genovese Cuisine) by Emanuele Rossi in 1865. Tradition calls for young basil leaves from the Pra’ area of Genoa, Ligurian olive oil that tends to be more delicate than olive oils coming from the south, pine nuts, parmesan cheese aged for more than 30 months, pecorino cheese from Sardinia, garlic also from the Genoa region (that tends to be milder in general), and sea salt. 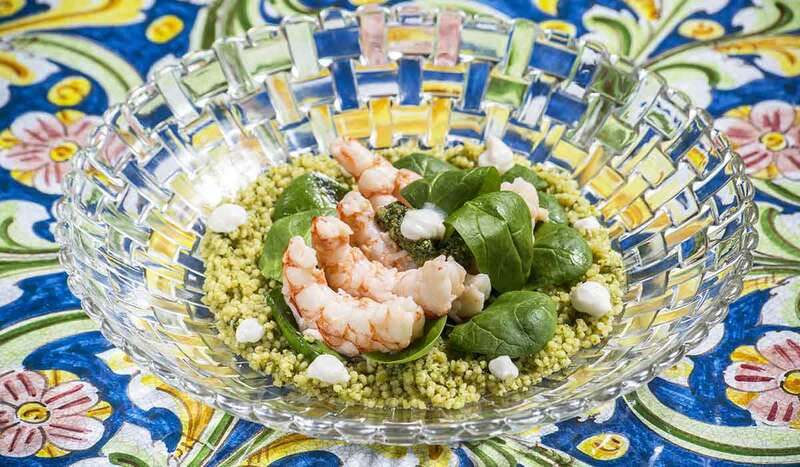 Meraviglioso ai Gamberi comes together with just a handful of ingredients, creating an elegant dish that can be served either as lunch or light dinner. It can easily be transformed into canapés for a party if you decide to divide it into small cups. 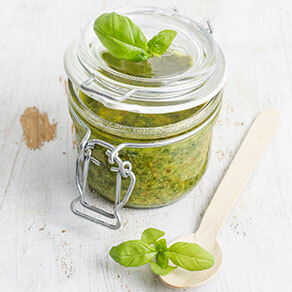 Pesto is best when made with the freshest ingredients, using a mortar and pestle, and in this recipe we suggest adding a good amount of lemon and orange zest to it, whether the pesto is homemade or store-bought. 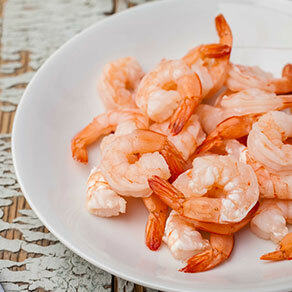 The extra zest lifts the dish and works wonderfully with the shrimp and spinach. Stir in 2 tablespoons of pesto to the couscous, divide amongst two plates. Layer the fresh spinach on the couscous, followed by the shrimp. Top with the remaining pesto. 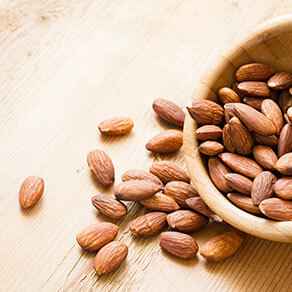 Add small dollops of almond milk creamer, according to taste.